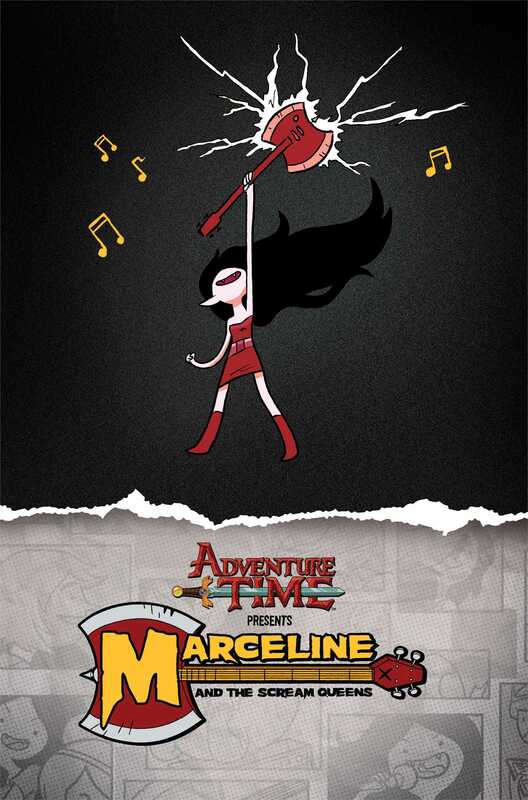 ADVENTURE TIME's Marceline the Vampire Queen and Princess Bubblegum rock out! Thanks to a newfound interested in rock n' roll, Princess Bubblegum volunteers to manage Marceline's paranormal rock band for a pivotal tour across the land of Ooo! But when the band is threatened by everything from snobby scenesters to beasts born of self-doubt, can they hold it together and make it to the RADDEST GIG EVER in time, and manage to stay friends throughout the process?! This totally mathematical hardcover edition features never-before-seen extras, including an inside look into the making of the MARCELINE AND THE SCREAM QUEENS comic!